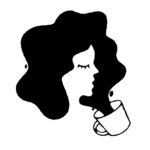 Mother’s Day is swiftly approaching (it’s on May 14th, so you’d better start start shopping now), and finding the perfect gift to show your appreciation for your mom (or mother-like figure) can be harrowing. No worries, though. 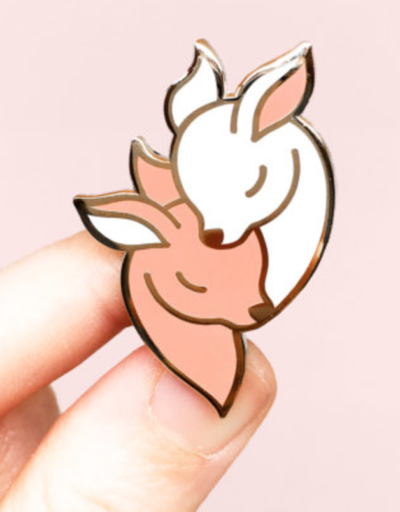 We’re here to help with this amazing collection of mom-worthy enamel pins! 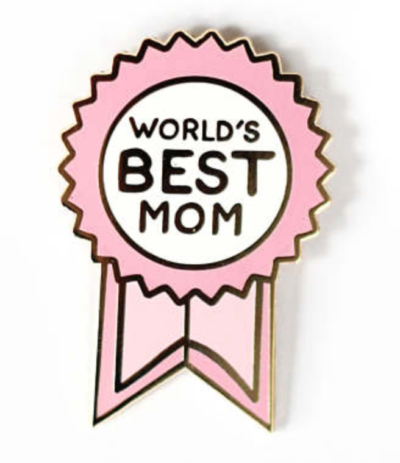 If your mom’s not like other moms, but a “cool mom,” it can be hard to figure out what to give her that encapsulates her uniqueness. A bath bomb from Lush’s Mother’s Day collection might not cut it if your mom’s less of a mother-you-pamper and more of a ride-or-die BFF than anything else (though those moms deserve to be pampered, too, of course — being a mom and staying on trend can’t be easy). That’s why we think enamel pins are a great gift for Mother’s Day, especially if your mom is more hip than you. So here are a few pins for inspiration. Find this one on Etsy for just $10. A lovely way to show your appreciation for how hard your mom works! This one is only $9 on Etsy. 3. 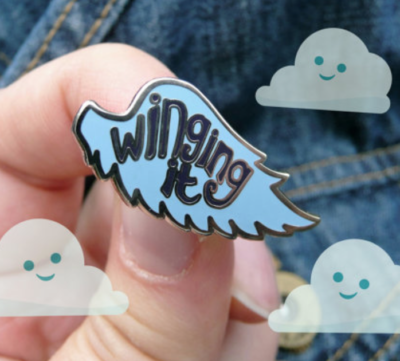 A “Winging It” pin, because who isn’t? It’s easy to forget that our moms weren’t given a handbook on this whole parenting thing! This pin is on Etsy for $8. 4. 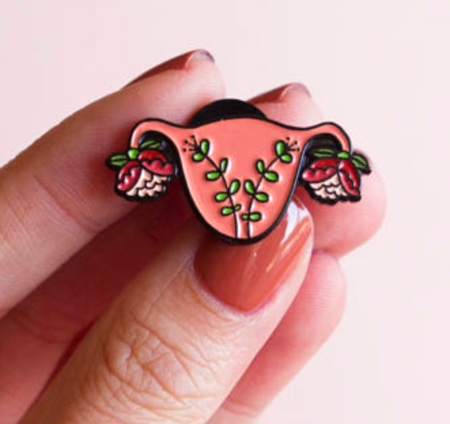 A uterus pin, because that’s where you came from! This pin is a lovely celebration of womanhood, motherhood, and life. Buy it for $10. 5. 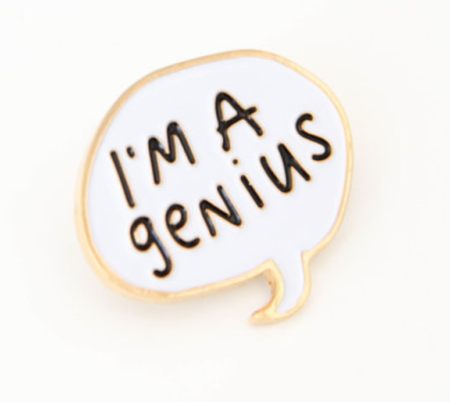 If she won’t brag for herself, give her a pin that will! This pin is $6.82 on Etsy, but the smile it puts on your mom’s face will be priceless. 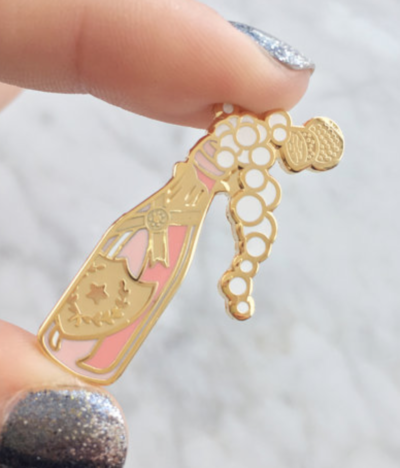 Every mother deserves a little bubbly, and this one is on Etsy for $9.50. 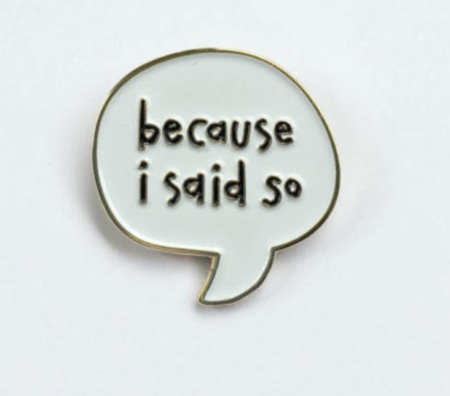 This cute, funny pin is only $9 on Etsy. 8. Just go on out and say it, she’s the best! She deserves a medal and this is a great way to honor her. 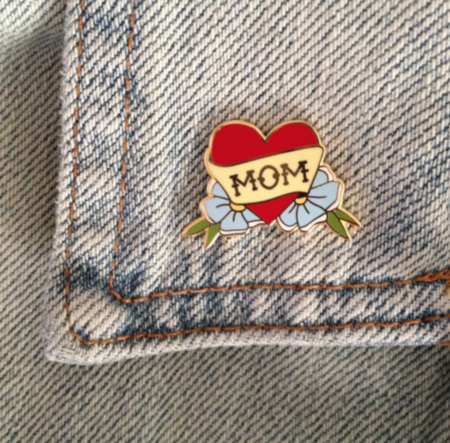 What mother wouldn’t love this pin, for $6.82? 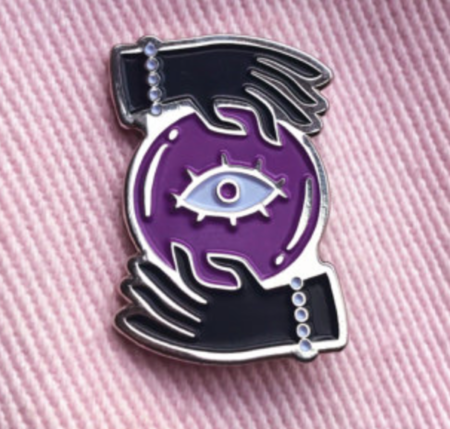 Buy her this witchy pin for $9.31 and honor the coven. A very sweet representation of a mother’s love. Buy one for yourself, too, for $10! 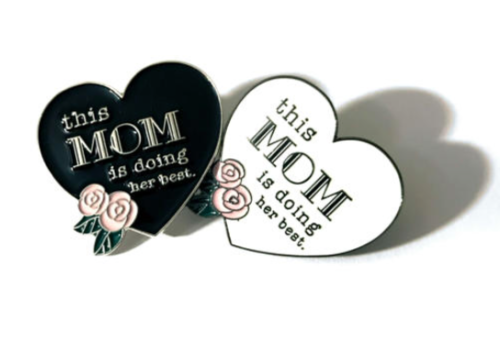 There are plenty of pins to choose from to show your mother you care. Mama’s gonna love it!